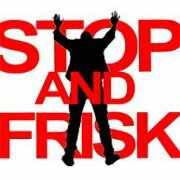 Join the Ramarley Graham Contingent at the Mass March Against Stop and Frisk! Contact ANSWER at 212-694-8720 to volunteer. The largest demonstrations yet against the NYPD's racist Stop-and-Frisk policy will take place this Sunday, June 17 in Harlem. Thousands -- and potentially tens of thousands -- will take to the streets for a Silent March initiated by 1199SEIU and the National Action Network. There was a breakthrough in the Ramarley Graham case this week, as Officer Richard Haste was charged with manslaughter for the fatal shooting. That criminal charges were brought against Haste at all reflects the consistent outrage, action and pressure from Ramarley's family and community. In the vast majority of such cases, killer cops never face charges. Over the last four months, there have been weekly community vigils and marches, citywide days of outreach, as well as petitions and letters demanding justice for Ramarley. But a manslaughter charge is a far cry from justice. 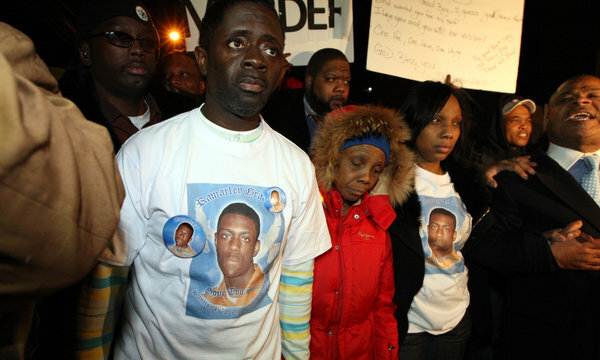 Ramarley was murdered. That is the charge his killers should be facing. The norm across the country is for the criminal "justice" system, from the judges to the prosecutors, to protect their front-line enforcers. Sean Bell's killers also faced manslaughter, only to be acquitted of all charges by a bench ruling from a judge. Officer Johannes Mehserle in Oakland, who was caught on video shooting Oscar Grant in his back while Grant laid handcuffed on the floor, served less than a year. Time and again, we see the double standard -- heavy sentencing and mass incarceration for African Americans, Latinos and poor people in general, while those who serve the system get slaps on the wrist. The ANSWER Coalition is determined to help Ramarley's family win justice, and keep the struggle going. They need all of our support. With their son already murdered, the local mass media has been waging a vicious campaign to assassinate his character. In addition to the mass march on Sunday, there will be the weekly vigil for Ramarley in the Bronx this Thursday at 749 East 229th St (near White Plains Rd.) On Saturday, we will be holding another street meeting in Harlem at 125th St. and Lenox Ave. to let the community know about Ramarley's case and the mass march against Stop and Frisk the following day. In other words, there's a whole week of activity for you to support the growing movement against racist police brutality and profiling, culminating in the Sunday mass march. Join us and get involved! Contact us at 212-694-8720 to volunteer.